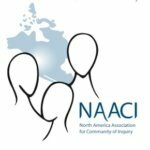 NAACI calls for papers that explore the ways in which we can invite children and young people to begin to think of themselves in ever broader perspectives, whether that be environmental, social, economic, global, or even temporal, so as to hopefully be more grounded and hence inspired to take up the challenges that we presently face. Such explorations might include more traditional environmental philosophical approaches that focuses on biocentric and ecocentric concerns, species diversity, pollution, climate change, etc., and which generally invite us to think about our natural environment in ways which are inspired by, and problematized by our relationships with nature. The world, of course, is also one of human creations: societies, culture, political and economic models. Such issues as inequality, poverty and greed are all urgent problems that cry out for ways in which they can be made more relevant to those who are might otherwise be blind to them. As well, if increasing our temporal perspective in the sense of viewing one’s present actions from ever more future-oriented viewpoints is critical for ethical reasoning, then “reasoning our way into the future” would also be a highly relevant topic. Attempts to tackle any of these sorts of questions would serve as fruitful guides for our collaborative inquiry in this NACCI meeting. Abstracts (no longer than 500 words) are to be submitted no later than November 30, 2017. Final full length papers are due March 30, 2018, and will be posted on the NAACI website in the hope that most attendees will have read the papers before arriving, and hence, that most sessions can run, at least partially, as a Community of Philosophical Inquiry. All papers will be blind reviewed by three separate reviewers. Letters of invitation will be sent to authors once quality and general fit has been established, no later than December 31. Please note that we will be sure to have simultaneous translation throughout the conference. Multiple author paper: three (or more authors) to prepare a paper for presentation for ½ – ¾ hour – followed by ¾ – 1 hour community of inquiry. NOTE: THIS FORMAT IS ENCOURAGED! Tag team: paper authored primarily by one person for presentation (20 minutes), followed by a respondent who helps to articulate the questions that follow from the presented paper (10 minutes), followed by ½ hour community of inquiry. Single paper: presentation 15 minutes, followed by 15 minutes of discussion. It is hoped that the first two types of presentation will nurture communities of inquiry in the preparation of papers thus echoing what this association is all about. Contributing to several “Multiple Author papers” or “Tag Teams” is perfectly acceptable. The conference will take place in the “Museo Nacional de los Ferrocarriles Mexicanos,” in Puebla, Mexico. The city of Puebla de los Angeles was the first city in Central Mexico founded by the Spanish conquerors in 1531, strategically situated midway between the port of Veracruz and Mexico City, was the second most important city during the colonial period. It is located about 100 kilometers West of Mexico City, at the foot of one of the largest volcanoes in Mexico, the Popocatepetl. The new aesthetic concepts resulting from the fusion of European and American styles are peculiar to Puebla, where you can admire the Mexican Baroque and the Indigenous Baroque in its numerous buildings. The city was inscribed to the World Heritage List in 1987. The buses to Puebla depart from the International airport in Mexico City every hour. The ride is about 1hour and a half. Details with regard to the easiest way to get to Puebla, accommodations, etc., will be posted on the NAACI website. ← Learn about the upcoming Southern California Philosophy Academy for High School Students!